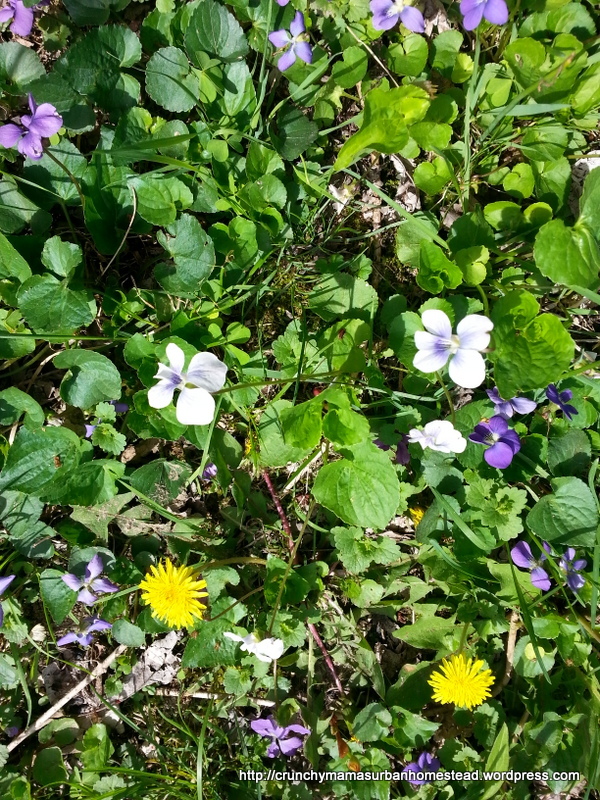 I’ve said that ostrich fern shoots are my favorite wild edible but violets are a super-close second. They are so lovely! 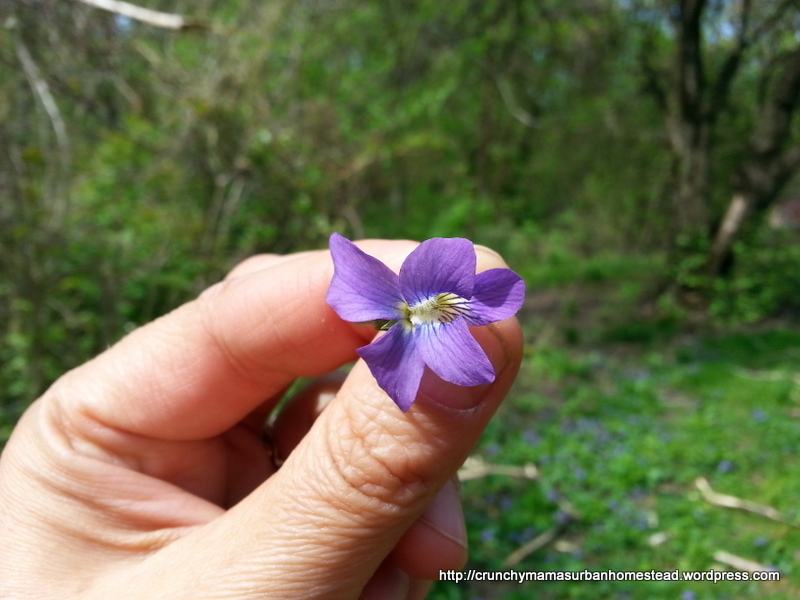 On my property, I have lots of Viola odorata. The young leaves are mild and great in salads. The flowers are mild-tasting with a hint of sweetness; you can just pluck and eat or gather some for a beautiful addition to your salad or sprinkle on your cooked and plated food. 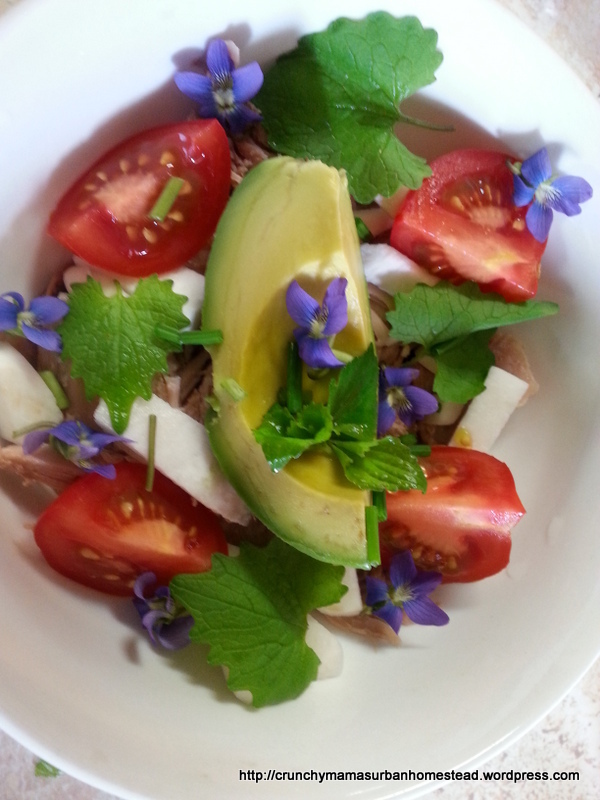 In this photo, I have a base of cut-up turnips topped with an avocado slice, tomato slices, garlic mustard leaves, and violet flowers and young leaves. 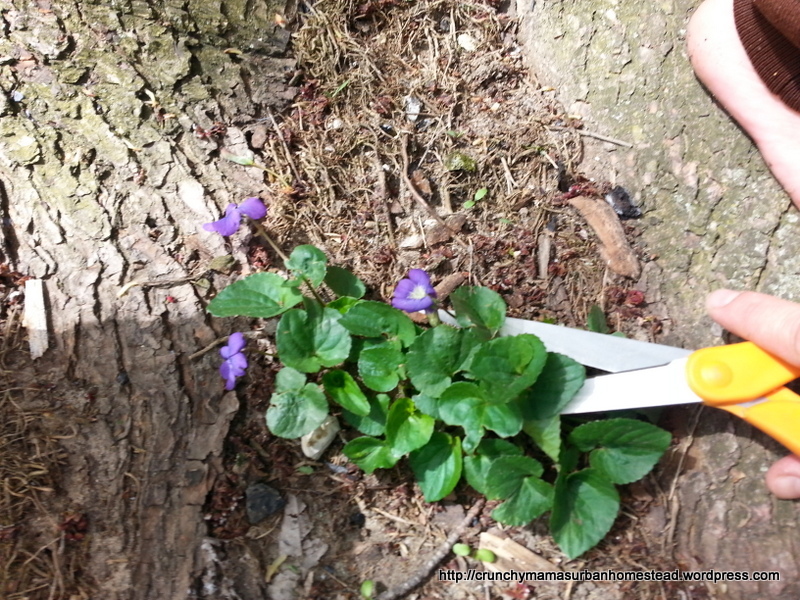 In this photo, you see a violet plant growing all by itself and so I just used some scissors to harvest the leaves. Flowers have 5 petals in a butterfly shape. They grow as a single flower at the end of the stem. There is a sharp bend where the flower and the stem join. Leaves are heart-shaped; the sides often curl toward the juncture of the stem and the leaf. Roots are fibrous and are NOT edible and actually toxic according to Teresa Marrone. Environment: Preferably moist soil with some shade. 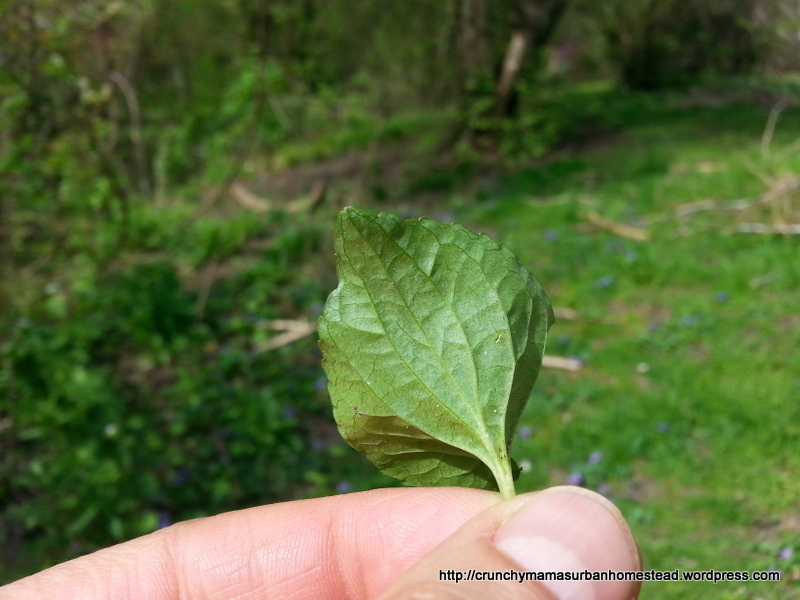 Method of Preparation: You can eat the flowers and young leaves (lighter green) raw. 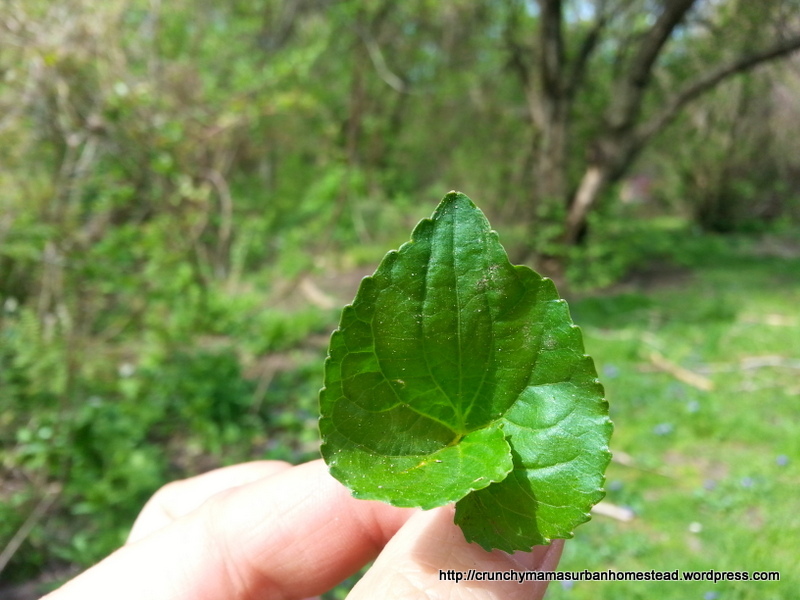 You can also cook the young leaves as well as older leaves as you would spinach. Poisonous look-alikes? Larkspur and Monkshood— there blooms look similar perhaps to an untrained eye but you can absolutely tell the difference between them and violets in short order. The larkspur bloom has a long spur on the rear of the bloom. There are good photos here. The leaves are very different as well. And, lastly, there are multiple blooms coming from one stem (unlike the violet which is one bloom on the end of the stem). 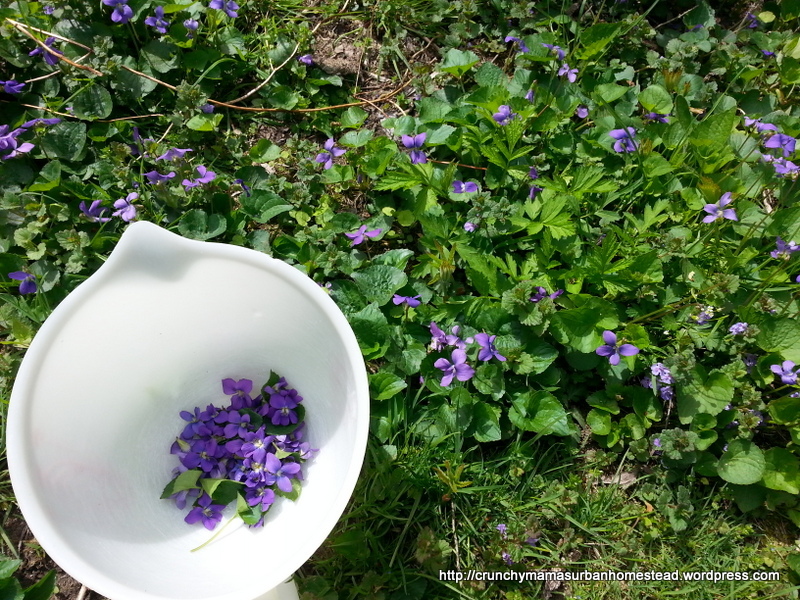 According to Abundantly Wild by Teresa Marrone, you would be wise to collect violet leaves only when the plant is in bloom because the the leaves can resemble some poisonous plant leaves. When the plant is in bloom, it will be easy for you to recognize and gather the correct leaves.